Several weeks ago, I experienced a gigantic lesson in faith. My seven year old son had taken his action figures outside to play in the natural area in our backyard. One of the action figures wielded two tiny black guns roughly the size of toothpicks. As any “competent” mother would have done, I called out, “Don’t lose those in the mulch!” as my son waltzed out the door. Fast forward forty-five minutes. A hysterical and sweaty boy ran through the back door crying, you guessed it, because he had lost one of the guns. He and our neighbor had spent the last twenty minutes looking for it. His friend had left for dinner, and my son was left broken-hearted. I swallowed the reaction to say, “I told you so,” and went outside to help him look for the needle in the haystack. Now, fast forward six days. Our family was at our neighborhood pool, and one of my son’s water toys became lodged in the bottom of a water fountain bucket. (Yes, losing things is a recurring theme in our household!) The water would pour out of the bucket every time it filled up, but the toy was relentlessly stuck. For twenty minutes we watched as we played in the pool, hoping the toy would become dislodged. It didn’t, and we started to pack up to leave. It was then my son remembered my answered prayer from a few days before and immediately started asking God if He would intervene again. I instantly felt nervous. Twice in one week? I started to plan how to have the “God doesn’t always answer prayers with a yes” conversation. In short, my faith was weak. 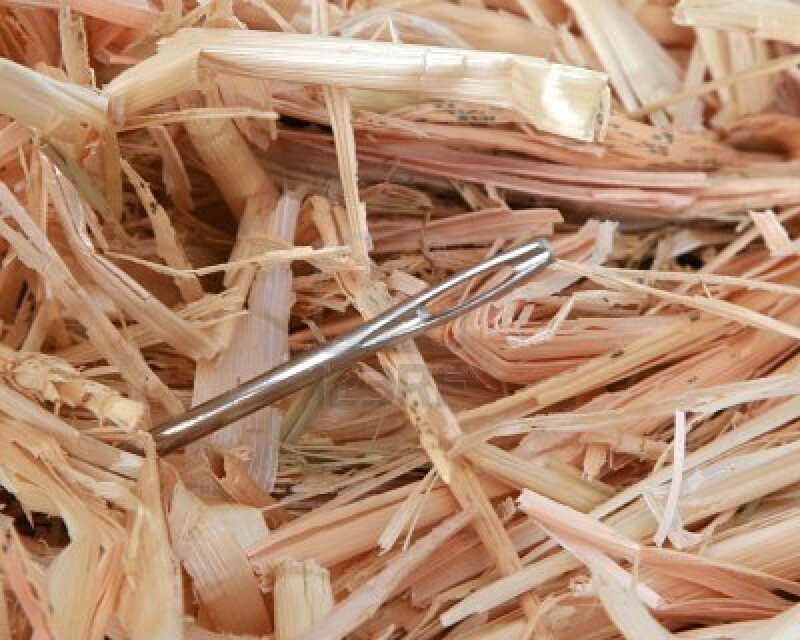 My son and I had both experienced the same miracle of the found needle in the haystack. I thought that answered prayer was enough, and I didn’t expect it to happen again. My son’s response was the opposite. His faith grew, and he believed that God could, and would, strike twice – even in the same week and for the same prayer. Matthew 7:8 promises, “For everyone who asks receives; those who seek find; and to those who knock, the door will be opened”. It doesn’t say, “Just once… when you ask, you will receive.” It doesn’t promise, “Seek once and find, but the second or third times, you’re on your own.” There is no maximum capacity here. My son’s belief of who God is was the more accurate version. He is the God of the impossible. He is the God of indescribable mercy. He is the God who keeps His promises. So, let me ask you… How do you view God and prayer? Prayer – Heavenly Father, thank You for Your valuable lessons. I want to have faith like a child! Please continue to remind me that nothing is impossible with You. Your mercy and love are so generous and undeserved, and I can pray and believe in miracles at all times and not just once in a while. In Jesus’ Name, AMEN! Several years ago, I was invited to go on my church’s leadership retreat. I had just been appointed to the outreach program for women. When I learned there was a retreat, I was excited for the opportunity to go. I was not going to be left out from hearing and seeing God at work. 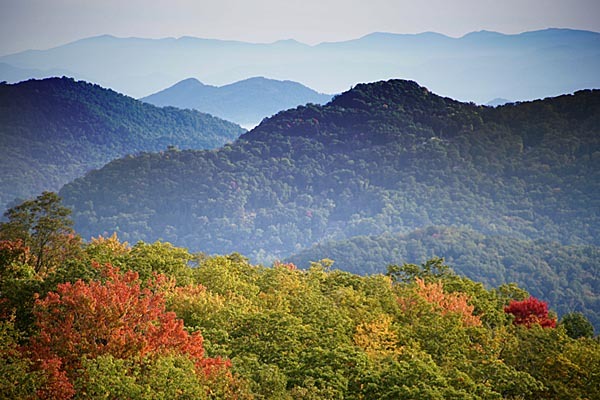 It was in the fall, in the sweet mountain community of Black Mountain, North Carolina. I knew it would be a great time bonding with the women of my church! On Saturday after the morning session, we were told we had some free time, time to go off and be alone with God. It was recommended that if we go into the woods, we should go in groups due to the bears. Yes, they said bears! Despite this, I still went out to climb the mountain. It was a special time, but the best was yet to come. As we cleared the crest and walked up the steps to the look-out, there, on a very large sign, was painted Psalm 121! I was blown away! We had no idea! Yet for most of our climb, we were singing this exact scripture. It was just as God had planned. That made me stop and think that everything I had done and will do is just as God has planned. Oh, I have free will and can deviate from the path, but the more I ask God to come into my heart and make Himself known to me, the closer He walks beside me. When life gets hard, and we all have had times and troubles that seem impossible to navigate… maybe you are in one now… God is there walking it with you. No matter how bad it gets, if you have faith and know that God is in control… that He has “it”, and He is bigger than everything… then the stronger you will become. The stronger your relationship with God, the easier the steps on the path will be. Dear Lord, I thank you Lord and praise you, you are the alpha and omega the beginning and the end, you are the creator of all and I pray that you continue to show me the path you have put before me. As I go through the trials and tribulations I pray that I never lose sight of you and the purpose you have placed in my life to serve you and praise you. Thank you Lord for your patience in me, I ask for your continued guidance, wisdom and discernment. In Jesus name I pray Amen. Posted in Encouragement, Praise and Worship. Well, according to Wikipedia, I have witnessed the impossible…a true miracle. One afternoon, I was driving my family home from visiting my parents while a huge thunderstorm loomed in front of us. The dark clouds were the color of asphalt. Silence filled the car as my kids became concerned. Then, the thunder began to boom, and the rain became torrential. As we continued driving, a small break in the clouds seemed to open so that the dark gray become light gray for just a moment. Although, the rain was still falling, and there was certainly no sunshine yet, my family witnessed the impossible, and all four of us gasped. Our car, as I drove down the road, had become the end of a huge rainbow. A beautiful, crystal clear rainbow was arcing from the hood of our SUV, over the car in front of us, and into the sky ahead. I have never seen anything like it, and I probably never will again. Scientifically, the impossible was happening. However, God doesn’t work within the laws of science. In the book of Revelation, the disciple John experienced and recorded snap shots of Heaven as gifts from God to us. 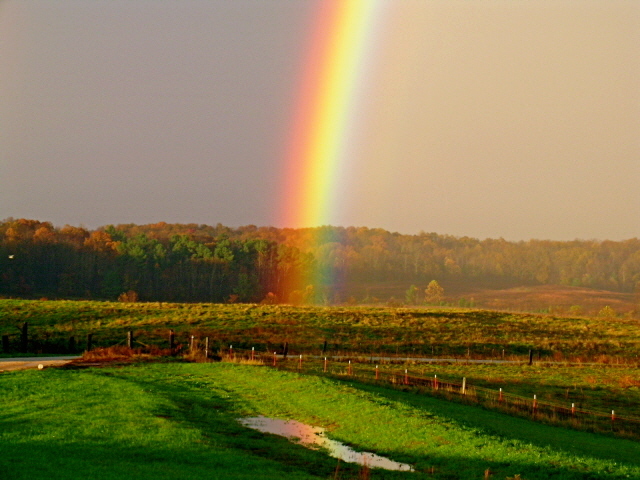 In the fourth chapter, as John gazed upon God in all His splendor, he describes a rainbow encircling the throne. As a child, I was taught that Heaven is so magnificent that we are unable to fathom it. In an eternity so beautiful, where there are streets of gold, rainbows are referenced twice, once encircling God’s throne and once over the head of an angel. That is how beautiful rainbows are to God. If you read my first devotional, “One Who Illuminates”, you know that I often see myself as a cracked jar of clay. 2 Corinthians 4:7 (NLT) says, “We now have this light shining in our hearts, but we ourselves are like fragile clay jars containing this great treasure. This makes it clear that our great power is from God, not from ourselves.” For that moment in the car with my family, God was exchanging my clay jar for a pot filled with gleaming gold. I received it! The rainbow lasted about one minute and then was gone as the storm enveloped us once again. However, in those sixty seconds, our car was filled with laughter and joy amidst the raging storm. Is there a storm brewing in your life? Do you feel struck down? Tossed around? Overwhelmed? If so, please know this… You will always be God’s pot of gold, His treasure. He loves you immensely. He cares about your storms. Prayer – Dear Lord, I praise your gifts of love and mercy! You seem to know just when to step in and remind us that we are Your beautiful treasures. That no matter how many times we mess up, You are there to show us the goodness that flows from a life of faithfulness. Thank you! In Jesus’ Name, AMEN! Recently my oldest son played in a five day baseball tournament in Myrtle Beach, SC, during the hot month of July. Their goal was to defend the title they had won last year. They played well. Some games were easy; some were a little harder, but they continued to win. A one game loss still qualified them to compete for the championship, but it meant starting at 8am and playing and winning four games in a row on the last day. The coaches and players arrived at 7:15 to warm up. The forecast called for rain and during the third inning, a rain delay was called until 12:45. The 8am game finished at 1pm with us winning. By 4:30 we had won game 2 and started game 3. Our team was getting tired. They had been playing a long time and started making errors. Before we knew it, the other team was up 16-3. But then, something happened. The coaches and the boys rallied around each other. A home run was hit, then another. The other team made a couple errors. We scored. Parents were up cheering, players were in the dugout, up against the fence rooting their teammates on. It was now 16-15. Our boys had come back. They were fighting for what was theirs. The next day, God showed me how we are like those boys. We have a dream, a goal, a plan we know God has set in place. Things are going smoothly, even some harder days don’t seem too bad. But then, delays happen, we make mistakes, and all too soon we feel defeated. And God said to me, “Now look at the coaches and the teammates. They represent your friends, your mentors, your pastor. You are all on the same team. You are there to build one another up, to care for each other, to encourage. See the parents on the sidelines? They represent Me. I am always here. I never leave your side. No matter what you face, you are not alone!” I was moved to tears as God showed me He is always by my side. I couldn’t help but picture Him watching me from Heaven, jumping up and down like we parents had done at the game, cheering and clapping for me. Rooting for me. I can’t give up. No matter how difficult things seem. I have to be like my son’s team, who with a little encouragement, kept fighting. I have to remember God is for me! Prayer – Heavenly Father, thank you for never giving up on me. When I am discouraged, You send me encouragement through friends, family, and Your word. You let me know with You for me, I can make it. Thank you for cheering me on.